משמעות השם הסיני היא "קנבוס צהוב". שם זה מתייחס לפריחתו הצהובה של השרביטן הסיני. שרביטן סיני הינו שיח רב-שנתי ירוק-עד. מוצאו בסין, מונגוליה, הודו ופקיסטן. שרביטן סיני אסור לשיווק בישראל. ברפואה הסינית נהוג שימוש במינים נוספים של הצמח המכילים אלקלואידים (שיפורטו בהמשך). ההתייחסות לכולם היא כאל שרביטן סיני, למרות שמדובר במינים אחרים, כדוגמת: E. vulgaris, E. equisetina, E. intermedia, E. geradiana ו-E.distachya. קיימים גם מינים אחרים של אפדרה אשר ככל הנראה אינם מכילים את הרכיבים הפעילים העיקריים ולכן אינם משמשים לרפואה, כגון השרביטן המצוי הגדל בארץ. טעם: מעט צורב, מעט מריר, מתקתק. אמינים אלקלואידיים (0.5%-2.4% מהצמח; העיקריים שבהם ephedrine (עד 80%) ו-pseudoephedrine), טאנינים, שמן נדיף. אסתמה, אלרגיות, סינוסיטיס, תמיכה בירידה במשקל (שנוי במחלוקת ולא מקובל בקרב גורמים מקצועיים). תמצית נוזלית בריכוז 1:3, 45% אלכוהול – 2-7 מ"ל ביום. 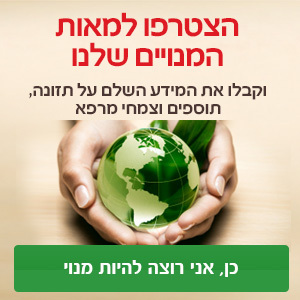 תמצית יבשה בריכוז 5:1 – 150-500 מ"ג ביום. מרתח – 3-10 גרם ביום. בפורמולה – מבוגרים: 15%-25% / ילדים: 10%-15%. הצמח אסור לשימוש בילדים מתחת לגיל 6. ילדים (גילאי 6-15): עד 0.5 מ"ג סה"כ אלקלואידים לכל ק"ג משקל גוף במנה אחת, ולא יותר מ-2 מ"ג לכל ק"ג משקל גוף ביום. מקביל ל: עד כ-1 גרם צמח למנה או 4 גרם ליום למשקל של 30 ק"ג. *החישוב נעשה לפי ממוצע של 1.5% אלקלואידים בצמח. במעבדה(96), הוספת מיצוי שרביטן סיני לתאי סרטן צוואר הרחם (תאי HeLa) שפיתחו עמידות לתרופות כימותרפיות, הגבירה את רגישות התאים לתרופה הכימותרפית Paclitaxel על ידי עיכוב המשאבה P-gp (גליקופרוטאין P). לא נערכו מחקרים קליניים בנושא ולא ברורה הרלוונטיות הקלינית של ממצא זה. שרביטן סיני אסור לשימוש בהנקה(1,28,89). Blumenthal M, Brinckmann J, Wollschlaeger B: The ABC clinical guide to herbs, Austin, Texas, 2003, American Botanical Council, pp 110-121. Nadir A, Agrawal S, King PD, et al: Am J Gastroenterol 91:1436-1438, 1996. Stolpman DR, Petty J, Ham J, et al: Hepatology 36:168A, 2002. Duque, J. M., Ferreiro, J., Salgueiro, E., and Manso, G. [Hepatotoxicity associated with the consumption of herbal slimming products]. Med Clin (Barc.) 2-17-2007;128(6):238-239. Vigano, M., Lampertico, P., and Colombo, M. Acute hepatitis following assumption of a herbal remedy. Eur.J.Gastroenterol.Hepatol. 2008;20(4):364-365.
WHO Monographs on Selected Medicinal Plants: HerbaEphedrae. 1 vol. Geneva: World Health Organization; 1999:145-153. Handbook of non-prescription drugs, 8th ed. Washington, DC, American Pharmaceutical Association, 1986. Pace S: J ToxicolClinToxicol 34:598, 1996. German Commission E Monograph, Ephedraeherba. Bundesanzeiger, 1991, 11:17 January. State of New South Wales: Glebe Coroners' Court Reports on Grafton and Kempsey bus crushes, 7 February 1990 and 1 June 1990. Policy Statement on Ephedra sinica (Ma huang). Austin, TX, American Herbal Products Association 1994. Ros JJW, Pelders M, De Smet AGM: Pharm World Sci 21:44-46, 1999. 19.Lefebvre RA, Surmont F, Bouckaert J, et al: J Pharm Pharmacol 44:672-675, 1992. Cupp MJ, ed: Toxicology and clinical pharmacology of herbal products, Totowa, NJ, 2000, Humana Press, PP 16-30. Farnsworth NR, ed. NAPRALERT database. Chicago, University of Illinois at Chicago, IL, March 15, 1995 production (an on-line database available directly through the University of Illinois at Chicago or through the Scientific and Technical Network (STN) of Chemical Abstracts Services). Goodman LS et al. Goodman and Gilman’s the pharmacological basis of therapeutics, 8thed. New York, MacMillan, 1993:213–214. CANTOX Health Sciences International: Safety assessment and determination of a tolerable upper limit for ephedra, Washington, DC, December 19, 2000, prepared for Council for Responsible Nutrition. Pittler M, Ernst E. Complementary therapies for reducing body weight: a systematic review. Int J ObesRelatMetabDisord 2005. Astrup A, Breum L, Toubro S et al. The effect and safety of an ephedrine/caffeine compound compared to ephedrine, caffeine and placebo in obese subjects on an energy restricted diet: a double blind trial. Int J ObesRelatMetabDisord 1992;16:269-277. Astrup A, Breum L, Toubro S et al. Ephedrine and weight loss. Int J ObesRelatMetabDisord 1992;16:715. Astrup A, Buemann B, Christensen NJ et al. The effect of ephedrine/caffeine mixture on energy expenditure and body composition in obese women. Metabolism 1992;41:686-688. Astrup A, Madsen J, Holst JJ, Christensen NJ. The effect of chronic ephedrine treatment on substrate utilization, the sympathoadrenal activity, and energy expenditure during glucose-induced thermogenesis in man. Metabolism 1986;35:260-265. Astrup A, Toubro S. Thermogenic, metabolic, and cardiovascular responses to ephedrine and caffeine in man. Int J ObesRelatMetabDisord 1993;17Suppl 1:S41-43. Astrup A, Toubro S, Cannon S et al. Thermogenic synergism between ephedrine and caffeine in healthy volunteers: a double-blind, placebo-controlled study. Metabolism 1991;40:323-329. Vukovich MD, Schoorman R, Heilman C et al. Caffeine–herbal ephedra combination increases resting energy expenditure, heart rate and blood pressure. ClinExpPharmacolPhysiol 2005;32:47-53. Hackman RM, Havel PJ, Schwartz HJ et al. Multinutrient supplement containing ephedra and caffeine causes weight loss and improves metabolic risk factors in obese women: a randomized controlled trial. Int J Obes (Lond) 2006;30:1545-1546. Boozer CN, Daly PA, Homel P et al. Herbal ephedra/caffeine for weight loss: a 6-month randomized safety and efficacy trial. Int J ObesRelatMetabDisord 2002;26:593-604. Dulloo AG, Miller DS. The thermogenic properties of ephedrine/methylxanthine mixtures: animal studies. Am J ClinNutr 1986;43:388-394. Dulloo AG, Miller DS. The thermogenic properties of ephedrine/methylxanthine mixtures: human studies. Int J Obes 1986;10:467-481. Dulloo AG, Seydoux J, Girardier L. Potentiation of the thermogenicantiobesity effects of ephedrine by dietary methylxanthines: adenosine antagonism or phosphodiesterase inhibition? Metabolism 1992;41:1233-1241. Myers MG. Effects of caffeine on blood pressure. Arch Intern Med 1988;148:1189-1193. Dingemanse J. An update of recent moclobemide interaction data. IntClinPsychopharmacol 1993;7:167-180. Hoffman B, Lefkowitz R. Catecholamines, sympathomimetic drugs and adrenergic receptor antagonists. In: Hardman J, Limbird L, eds. Goodman and Gilman’s The Pharmacological Basis of Therapeutics. 9th ed. New York: McGraw-Hill; 1995. Kalix P. The pharmacology of psychoactive alkaloids from ephedra and catha. J Ethnopharmacol 1991;32:201-208. Konno C, Mizuno T, Hikino H. Isolation and hypoglycemic activity of ephedrans A, B, C, D and E, glycans of Ephedra distachya herbs. Planta Med 1985:162-163. Xiu LM, Miura AB, Yamamoto K et al. Pancreatic islet regeneration by ephedrine in mice with streptozotocin-induced diabetes. Am J Chin Med 2001;29:493-500. Boozer, C. N., Nasser, J. A., Heymsfield, S. B., Wang, V., Chen, G., and Solomon, J. L. An herbal supplement containing Ma Huang-Guarana for weight loss: a randomized, double-blind trial. Int J Obes.RelatMetabDisord. 2001;25(3):316-324. Weinberger M.; Bronsky E. Interaction of ephedrine and theophylline. Clin. Pharmacol. Ther, 1974, 15(2): 223. Zhang SF, Zhang M: Chin J Hosp Pharm 6:97-102, 1986. Jubiz W, Meikle AW. Alterations of glucocorticoid actions by other drugs and disease states. Drugs 1979;18:113-121. Wilkinson GR, Beckett AH. Absorption, metabolism, and excretion of the ephedrines in man. II. Pharmacokinetics. J Pharm Sci 1968;57:1933-1938. Kuntzman RG, Tsai I, Brand L, Mark LC. The influence of urinary pH on the plasma half-life of pseudoephedrine in man and dog and a sensitive assay for its determination in human plasma. ClinPharmacolTher 1971;12:62-67. Brater DC, Kaojarern S, Benet LZ et al. Renal excretion of pseudoephedrine. ClinPharmacolTher 1980;28:690-694. Nishikawa T, Kimura T, Taguchi N, Dohi S. Oral clonidine preanesthetic medication augments the pressor responses to intravenous ephedrine in awake or anesthetized patients. Anesthesiology 1991;74:705-710. Flegin OT, Morgan DH, Oates JA, Shand DG. The mechanism of the reversal of the effect of guanethidine by amphetamines in cat and man. Br J Pharmacol 1970;39:253P-254P. Gulati OD, Dave BT, Gokhale SD, Shah KM. Antagonism of adrenergic neuron blockade in hypertensive subjects. ClinPharmacolTher 1966;7:510-514. Stockley I. Stockley’s Drug Interactions. 6th ed. London: Pharmaceutical Press; 2002. Ulus IH, Maher TJ, Wurtman RJ. Characterization of phentermine and related compounds as monoamine oxidase (MAO) inhibitors. BiochemPharmacol 2000;59:1611-1621. Scorza MC, Carrau C, Silveira R et al. Monoamine oxidase inhibitory properties of some methoxylated and alkylthio amphetamine derivatives: structure-activity relationships. BiochemPharmacol 1997;54:1361-1369. Skop BP, Finkelstein JA, Mareth TR, et al: AM J Emerg Med 12:642-644, 1994. Nishikawa THJ, Bruyere HJ Jr, Takagi Y, et al: ToxicolLett 29:59-63, 1985. Kanai T, . Nishikawa T, Satoh A, et al: Tratology 34:469, 1986. Gilbert-Barnes E, Drut RM: Vet Human Toxicol 42:168-171, 2000. Lee EB. Teratogenicity of the extracts of crude drugs. Korean journal of pharmacognosy, 1982, 13:116–121. Prakash AO: Int J Crude Drug Res 24:19-24, 1986. Shekelle P. G., Hardy M. L., Morton S. C., et al. Efficacy and safety of ephedra and ephedrine for weight loss and athletic performance: a meta-analysis. The Journal of the American Medical Association. 2003;289(12):1537–1545. Maglione M., Miotto K., Iguchi M., Jungvig L., Morton S. C., Shekelle P. G. Psychiatric effects of ephedra use: an analysis of food and drug administration reports of adverse events. American Journal of Psychiatry. 2005;162(1):189–191. Miller S. C., Waite C. Ephedrine-type alkaloid-containing dietary supplements and substance dependence. Psychosomatics. 2003;44(6):508–511. Tinsley J. A., Watkins D. D. Over-the-counter stimulants: abuse and addiction. Mayo Clinic Proceedings. 1998;73(10):977–982. Gruber A. J., Pope H. G., Jr. Ephedrine abuse among 36 female weightlifters. The American Journal on Addictions. 1998;7(4):256–261. Tormey, W.P. ; Bruzzi, A. Acute psychosis due to the interaction of legal compounds--ephedra alkaloids in 'vigueur fit' tablets, caffeine in 'red bull' and alcohol. Med. Sci. Law, 2001, 41(4), 331-336. Kanaya N; Satoh H; Seki S; Nakayama M; Namiki A. Propofol anesthesia enhances the pressor response to intravenous ephedrine. Anesth. Analg, 2002 94(5), 1207-11. Ueda W; Kataoka Y; Takimoto E; Tomoda M.K. ; Aono J; Sagara Y; Manabe M. Ephedrine-induced increases in arterial blood pressure accelerate regression of epidural block. Anesth. Analg, 1995, 81(4): 703-5.